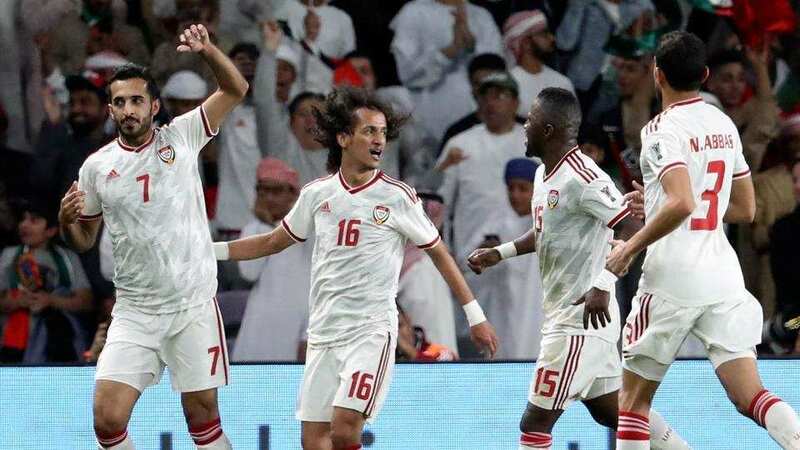 The Abu Dhabi Sports Council surprised Emirati fans on Sunday morning; they announced that they had bought all the tickets for the semi-final match of the Asia Cup and will be distributing them for free. In no time, UAE fans queued up in hundreds in Zayed Sports City shortly after 9 A.M.
On Tuesday, the semi-final clash will see the UAE against Qatar over a spot in the final. Fans and supporters lined up in the blazing sun to support their team in the upcoming challenge at Mohammed Bin Zayed Stadium in Abu Dhabi. Although the UAE national team did not perform well up to this point, the well-deserved victory over Australia in the quarter-finals gave fans hope of winning the Asia Cup, which on a side note is hosted this year by the UAE. On the other hand, their Gulf rival, Qatar, won 1:0 over South Korea, a considerable opponent. In addition, what makes Tuesday’s match challenging is the fact that no body was able to score a goal against Qatar throughout the lengthy tournament. Nevertheless, fans did not have a moment of doubt and were thrilled to know that the government is giving away the tickets for free. More than 18,000 tickets were distributed all over the Emirates, with 5,000 alone in Abu Dhabi. In the upcoming match, Qatar will be missing two of its main players, Bassam Al-Rawi and Abulaziz Hatem, due to suspension. However, coach Sanchez has proven himself to be craftier than expected and could move Pedro back to cornerback with Hamid Ismail taking his place on the flank to cover for Al-Rawi and Hatem. The Emirati national team has suffered from a few bruises during the quarter-final match against Australia. Nevertheless, the team looks ready and hungry to reach the finals, and now with fans getting their hands on free tickets to be present by their team’s side, it’s sure to make a difference; we’ll just have to wait and see.